New show is casting for a home show host. 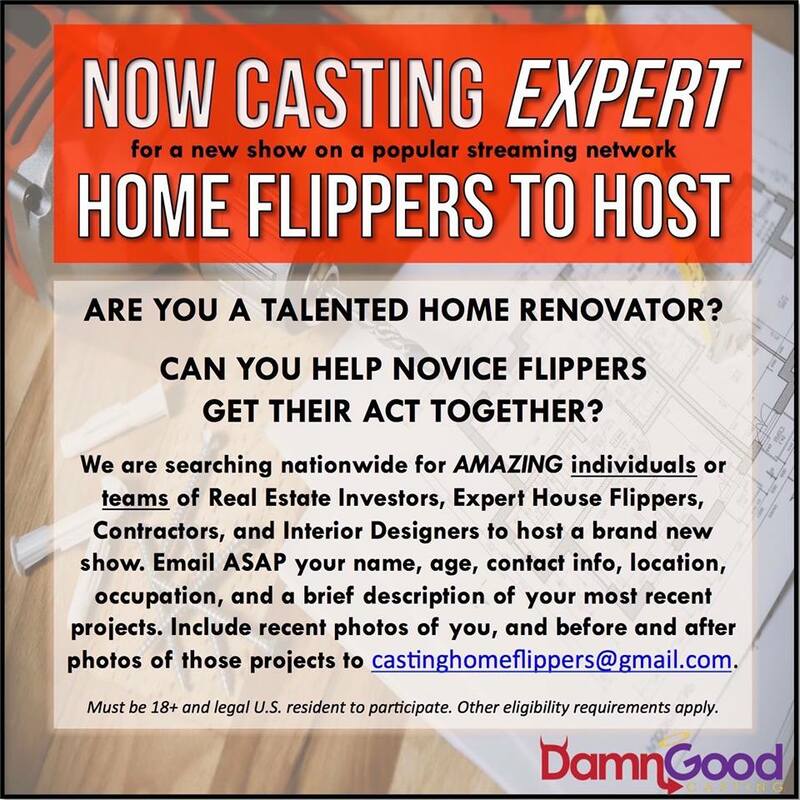 A major streaming network is casting nationwide for an expert host for a new HOUSE FLIPPING SERIES! We are looking for teams or individuals who are expert real estate investors, house flippers, contractors or designers to be the hands-on HOST(S) of the show! If you think you or your team have what it takes then please email castinghomeflippers@gmail.com with your name, contact info, occupation, location, some before/after photos of your projects and why we should pick you! Please tag and share this post with anyone you think would be great for the show.